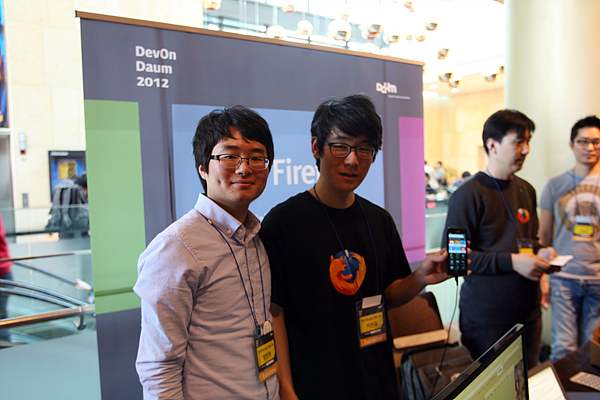 Mozilla Korean community joined DevOn 2012, the largest web developer conference organized by Daum.net on 12th November. There were over 16 tech communities including Ubutu, WordPress and Drupal on the booth hall and crowded many developers in there. 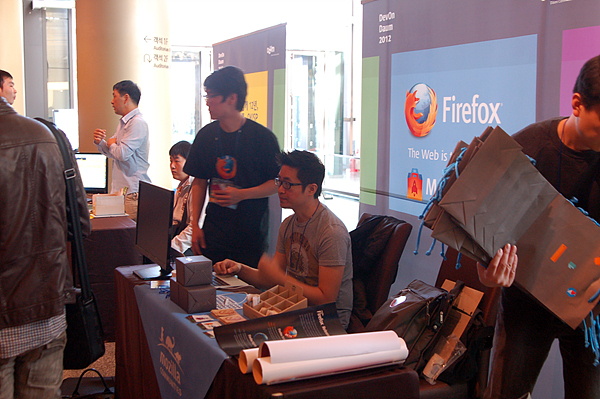 Four core members prepared this exhibition and explained Firefox Marketplace for distribution of web as an open platform to web developers. They were discussing the plan that appeals to developers. Daum sponsored to make over 100 mug cups and give this gift to people that install Firefox Android beta version and enable Marketplace account. 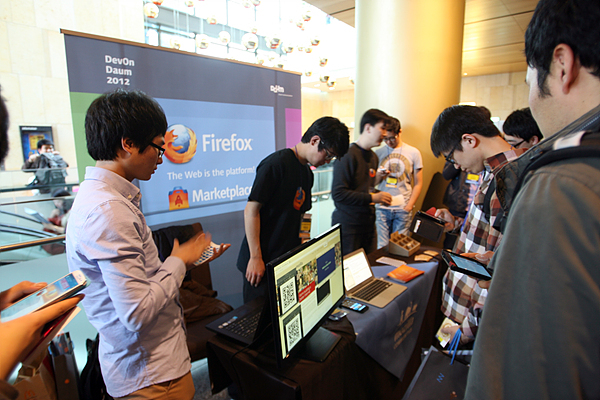 Many web developers visited our booth and took Firefox stickers and heard Firefox Marketplace and Firefox OS plan. They willingly clicked Facebook’s like button, so it reached over 400 likes in Mozilla Korea Facebook page.